On an average, Lease Plan India, which has a fleet of around 13,000 vehicles, gets about 50 requests for a foreclosure every month.But during the last week alone, there have been over 200 requests and the company’s finance director Nitu Samrafears that there may be more requests this week. At TranzLease Holdings India, which has a fleet of around 3,000 vehicles on the road, it’s a similar story. “We usually get one or two requests every month for foreclosure, but that number was close to 100 during the last one week,” said TranzLease president Hari Kaushik. The worry arises from expected the goods and services tax (GST) regime as the tax burden, which is currently a value-added tax of 12.5-13%, will rise to 43%. As a result, taxi aggregators such as Ola and Uber, which have leased over 25,000 cars between them, expect a similar rush next month onwards once drivers realise the GST impact on vehicles on the road. “At Ola Fleet Technologies, we run a leasing programme for tens of thousands of driver-partners who may not be able to afford buying a car of their own. At present, these driver-partners pay 14.5% VAT. In the proposed GST regime, they will have to bear GST rates of 29% to 43% on the cars already leased, as an outcome of double taxation on existing leases.This will have an adverse impact on their livelihoods, setting them back by over Rs 1 lakh for the remaining period of the lease, making it unviable to sustain their business,” said Shalabh Seth, chief executive at Ola Fleet Technologies, a wholly owned subsidiary of Ola. The new tax will leave a big hole in the pockets of corporate executives too, many of whom drive leased vehicles to work. Calculations show that monthly lease cost could be as much as 27% higher for vehicles such as Honda City or Toyota Altis which have completed a quarter of the 48-month lease term (see graphic). LeasePlan India’s Samra said that the tax burden at the time of sale will also go up significantly. For instance, instead of the current tax of 13% on the sale of a Honda City that is returned, GST will be 43%. Hence, the tax burden on a Rs 4-lakh transaction will more than treble to over Rs 1.7 lakh instead of Rs 52,000 at present. Clearly, the industry is nervous over massive losses on existing business. Industry sources estimated that nearly one lakh existing car leases will be impacted due to an additional tax burden of over Rs 2,000 crore on customers and companies. “For next four to five years, the leasing companies will incur huge losses on every single returned car they sell in the market, a shock which many of them won’t survive,” said an executive. 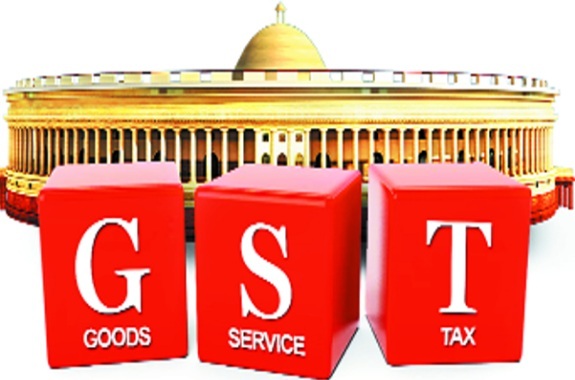 Government officials said the issue will be taken up by the GST Council, comprising the Union and state finance ministers, although it is unclear if the decision-making body will have time when it meets next on 30th June 2017. Startups providing technology and software for the implementation of and training on GST, and for uploading and reconciling taxes are sensing a great opportunity in the GST Suvidha Provider (GSP) scheme. GSPs are government mandated platforms that can build their own GST return filing software on the GST Network (GSTN). GSTN shortlisted 34 companies to be GSPs in the first phase. The criterion then was the firms must have been in existence for at least three years and must have at least a Rs 10-crore average annual turnover. For the second phase of GSP selection, GSTN has lowered the turnover required to Rs 5 crore. Among those that have applied in this phase are startups like Clear Tax, LegalRaasta, GST Star, and Moglix. Unlike an income tax return filing, or TDS payment, GST returns are to be filed thrice a month by all kinds of businesses, thus increasing the potential customer transactions for the platforms providing GST-compliant software. Larger enterprises have their own ERP (enterprise resource planning) solutions from the likes of SAP and Oracle. But those tend to be expensive for small and medium enterprises (SMEs). Startups will find ready clientele in this segment. GST software along with training, uploading, reconciling and other services will be a $2-billion market this year, of which the majority of the opportunity will be for startups working in this space,” said V Balakrishnan, co-founder of Exfinity Venture, an early stage funder, and former CFO of Infosys. Balakrishnan, who has invested in GSTStar, a Bengaluru-based GST solutions company founded by Infosys veterans Shailesh Agarwal and Balaji GS Rao, said startups providing cost-efficient solutions and who can do it for thousands of customers can become very successful. “In the first year, SMEs will even need some handholding as they will be filing invoices for the first time ever,” he said. Archit Gupta, founder of Cleartax, which has 400 employees now, said the company has invested around $5 million on building the GST platform. “Our team has expanded twice since. We have seen a sharp increase in the demand for our software. Right now, we have 2.5 lakh businesses on our platform and aim to reach 10 lakh businesses in the next 12 months,” he said. LegalRaasta, which started as an online legal services platform, has now built a GST solution for SMEs and chartered accountants. Last month, the company raised $5 million from venture funds, mainly on the strength of the GST platform. “Our current GST software is a 360-degree turn from what it was before because the rules weren’t clear at all when we started,” said Himanshu Jain founder, LegalRaasta. 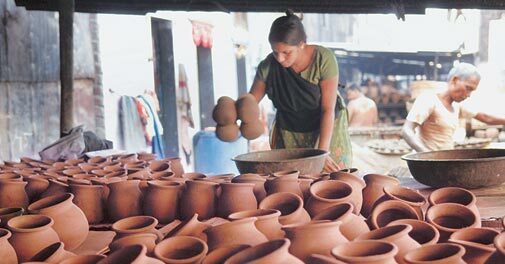 The company has over 80,000 SMEs on its platform, and expects to touch 5 lakh SMEs by end of this fiscal year. Moglix is a business-tobusiness e-commerce firm, but when founder Rahul Garg saw that the thousands of buyers and sellers on its platform needed help to be compliant with GST, he decided to work on an in-house solution for manufacturing units. “We were exposed to the complexities of the Indian taxation system and we understood the supply chain,” said Garg, whose venture is backed by Ratan Tata. All startups deliver their solutions over the cloud, which means users need to just take a subscription and not buy the software. It also avoids the complexity of keeping IT staff to manage the software and hardware.ClearTax and LegalRaasta currently function as application solution providers (ASP) that work with GSPs to provide their software. A GSP license would help them provide their own infrastructure to the SMEs. Balakrishnan estimates that there are a hundred startups working in the space. He said that from the second year onward, the data and open API (application programming interfaces) of GSTN will help startups to provide a plethora of financial services based on the tax payer profile. The Goods and Services Tax (GST) would be PM Modi’s most significant economic reform since coming to power in 2014. Seized vehicles, Bribes.Days-long delays. Moving goods across Indian states isn’t exactly easy — and that’s a major barrier to economic growth. Rolling a truck of vegetables into Gujarat, the state once governed by Prime Minister Narendra Modi, requires a bribe of 500 rupees to 2,000 rupees even with your papers in order, according to Rakesh Kaul, vice-president of Caravan Roadways Ltd., which has about 400 trucks plying India’s pot-holed roads. But getting past the state tax collectors into Uttar Pradesh, India’s most populous state, will cost you more: Upwards of 20,000 rupees, Mr Kaul says. The penalty for not paying off the right people is steep fines from factories whose raw materials are stuck at state borders — sometimes for as long as five days. That’s why he and other companies are cheering the July 1 , India’s biggest tax reform since independence in 1947. The move will replace more than a dozen levies with a new goods and services tax. That should help reduce the immense power India’s myriad middlemen wield at state borders, free up internal trade, make it easier to do business and widen the country’s tiny tax base. The new tax would be PM Modi most significant tax reform since coming to power in 2014. Yet with less than two weeks to go before its implementation, the government is still refining the details, announcing on Sunday it would relax initial filing requirements for July and August amid concerns businesses were not ready. Despite the last-minute tweaks, Finance Minister Arun Jaitley confirmed on Tuesday the tax would roll out on July 1. While India already boasts one of the world’s fastest growing major economies, architects of the reform say it will stoke efficiency and growth by creating a common market of 1.3 billion consumers — a population greater than the US, Europe, Brazil, Mexico and Japan combined. Take the border crossings: Lorry drivers in India lose 60 per cent of transit time to road blocks, tolls and other stoppages, which means logistics costs are up to three-times higher than international benchmarks. While truck drivers may still need to stop to have their goods checked, cut that time in half, and logistics costs could fall by up to 40 per cent, according to a 2014 World Bank report. The GST rollout comes less than a year after the government’s surprise move in November to remove 86 per cent of currency in circulation — a decision that contributed to a sharp slowing in growth during the January to March quarter. While the GST is seen as a leap forward in simplifying India’s system, getting the reform across the line has required compromises: India will have four tax brackets instead of the flat rate many other countries have. Air conditioners, refrigerators and makeup will be taxed at 28 per cent, for example, while toothpaste lands at 18 per cent. Plane tickets attract a 5 per cent GST rate, but business class tickets are 12 per cent. Staples such as food grains and fresh vegetables are not taxed, while education and health services will continue to be exempted. “India is obviously a huge and complex country in which governments’ ability successfully to implement major reforms is limited,” said Ian Hall, acting director of the Griffith Asia Institute. The incoming GST will also force companies to consolidate their supply chain among fewer, larger facilities, says Vineet Agarwal, the managing director of Transport Corp. of India Ltd., which has about 10,000 trucks and around 11 million square feet of warehouses. Currently, companies operate smaller factories and warehouses to take advantage of tax breaks offered by various states, as well as to avoid transporting goods over too many borders. “Literally, almost all states act like different countries,” Agarwal said. One of the biggest goals of the GST is to widen the tax net in an economy where more than 90 per cent of workers are employed informally. Companies will need to be in the tax system and prove they paid taxes to claim a credit against their costs. Pressure to comply will increase along the line and the black economy should shrink. Still, the tax may throw up losers. Manufacturing states may initially suffer as the extra revenue is generated in more populous consuming states. There are also sectors untouched by the new tax, including alcohol and real estate. Thousands of tax staff will also need to be trained and complex new IT systems adopted. “There will inevitably be disruption as a result of the implementation of the GST,” said Samir Saran, vice president of the New Delhi-based Observer Research Foundation. To be sure, India isn’t alone in introducing a new tax that crosses jurisdictions and territories. More than 150 countries have a value added tax or GST including Canada, Australia and the European Union, according to Deloitte. The optimistic case is that initial ruffles are soon smoothed over, according to Eswar Prasad, a professor at Cornell University in Ithaca, New York. “As in the case of the recent demonetisation gambit, any disruption in commerce and economic activity is likely to be short-lived, while the longer-term benefits could be significant,” he said. Big companies will be prepared, Agarwal at Transport Corp. says, but he frets about the smaller, informal businesses. “There’s going to be chaos,” he says. That informal workforce includes Babu Ram Rajput, a 28-year-old trucker in jeans and sandals who regularly drives goods across a vast swathe of north India. GST rates for certain consumer electronics were revised recently. In Its 16th meeting, the GST council led by Finance Minister Arun Jaitley re-jigged tax slabs for certain items, 66 to be exact. While not much has changed since we last told you about the impact of GST on your tech lives, there are some consumer electronics that now fall under different tax slabs. Here how your GST rates stack up currently. The Goods and Services Tax (GST) is all set to be adopted across India on July 1. Earlier this month, the GST Council categorized over 1200 goods and 500 services under four different tax slabs – 5%, 12%, 18% and 28%. Where does that leave the technology consumer? Will your next gadget purchase get cheaper or more expensive? How will GST impact app-based cab services? Should you hold-off buying electronic appliances right now, or should you act quick before prices shoot up? Here’s a quick guide to the impact of GST on your tech life. Smartphones are set to get cheaper in the next few months thanks to GST. The current tax incidence on smartphones is higher than 13.5 per cent. The GST Council has categorised them under the 12% tax slab and this will automatically bring smartphone prices down. Parts used to manufacture smartphones are also categorised under the proposed 12% tax slab. This, combined with relaxations under the government’s Make In India initiative, will further help reduce brand-specific smartphone prices. On the other hand, telephone sets, landline and any other apparatus for the transmission or reception of voice, images or other data, including apparatus for communication in a wired or wireless network will come under the 18 per cent tax slab. All of the above mentioned consumer durable are set to get more expensive. After July 1, prices of televisions, ACs, all types of washing machines, refrigerators and more will get inflated, as the goods will now come under the highest tax slab of 28 per cent. Prices of these goods are expected to go up by 4 per cent or more. Other smaller home appliances such as mixers, juicers, toasters, electric irons, etc will also get more expensive as all of these now come under the 28 per cent GST bracket, one of the highest in the world for products of their kind. However, prices of durables like TVs, ACs and more, will come down in Mumbai, where they attracted an additional octroi of 5% earlier. Current entertainment taxes levied by states will be subsumed in GST. States levy entertainment taxes in the range of 10 per cent to 30 per cent on DTH and cable services as of now. These services also attract an additional service tax of 15 per cent. Going forward, all these services will come under the 18 per cent GST slab, bringing taxation down considerably. Cameras of any kind including television cameras, digital cameras, video cameras, recorders and projectors will come under the highest tax slab in GST. These will attract a levy of 28 per cent post the implementation of GST. Speakers, loudspeakers and Monitors will also come under the 28 per cent tax bracket starting July 1. Taking an Uber or OLA ride will become marginally cheaper as tax on these services will come down from 6 per cent to 5 per cent under the GST regime. It will be beneficial for consumers to buy solar powered devices post the implementation of GST. Solar water heaters, lamps, lights and other such devices will come under the lowest, 5 per cent GST bracket. Phone bills are expected to shoot up as the current tax on these services stands at 15%. The upcoming GST will add another three percentage points to telephone bills, thereby decreasing profitability of telcos further. With the new implementation of GST, if you have been paying a phone bill of Rs 1,000 right now, your bill will increase by another Rs 30. Additionally, for prepaid users, while a recharge of Rs. 100 gives Rs. 85 of talk-time today, you will only get Rs. 82 as talktime after GST is imposed. All efforts are made to keep the content of this site correct and up-to- date. But, this site does not make any claim regarding the information provided on its pages as correct and up-to- date. The contents of this site cannot be treated or interpreted as a statement of law. In case, any loss or damage is caused to any person due to his/her treating or interpreting the contents of this site or any part thereof as correct, complete and up-to- date statement of law out of ignorance or otherwise, this site will not be liable in any manner whatsoever for such loss or damage. The government is set to roll out GST or Goods and Services Tax from July 1. Amid concerns regarding new paperwork once GST kicks in, the Central Board of Excise and Customs has come out with a few clarifications on facts highlighting GST provisions relating to invoice for trade. In its bid to allay concerns of traders on invoice generation post-GST, the CBEC, under the Department of Revenue, said: “There are some apprehensions in the trade circles that GST invoices have to be issued as per prescribed format and that issuing invoice is going to be burdensome process. This is not correct. Some important facts about GST provisions relating to invoice are highlighted for information of all stakeholders.” Touted as the biggest reform since Independence, the incoming indirect tax regime is aimed at creation of a common market, preventing ‘tax-on-tax’ and making goods and services cheaper. All GST taxpayers are free to design their own invoice format. GST Law only required that certain fields must mandatorily be in the invoice. The time period prescribed for issuing invoice is different for goods & services – for goods, it is any time before its delivery and for services, it is within 30 days from the date of supply of services. 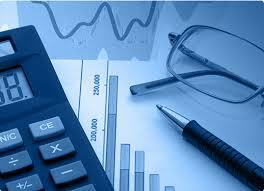 In normal circumstances, one copy of invoice is required to be carried by the transporter. However, GSTN (Goods and Services Tax Network) provides a facility to obtain an invoice reference number and if a taxpayer has generated this number, his goods need not be accompanied by paper invoice during transportation. This mechanism helps to address frequently reported problems like paper invoices getting misplaced, mutilated, torn or lost in course of transportation of goods. In order to keep compliance burden low for small taxpayers, GST law provides that taxpayers with annual turnover of up to Rs. 1.5 crore need to mention the HSN (Harmonized System of Nomenclature) Code of the goods in the invoices. Keeping in view the large number of transactions in the banking, insurance and passenger transport sector, taxpayers need not mention the address of the customer and the serial number in their invoices. Where the goods are transported for delivery but quantity to be supplied is not known at the time of removal, the good may be removed on delivery challan and invoice may be issued after delivery. No need to issue separate Bill of supply if VAT invoice is issued for non-taxable supplies. A small-scale manufacturing company and industries with operations in only one state will have to file a minimum of 37 returns including annual return instead of the current 13 once the goods and services tax (GST) roll out from 1 July, 2017, increasing work for industry, accountants and banks, according to an IndiaSpend analysis. With the deadline for GST less than a month away, finance professionals, banks and industry seem unprepared for the challenges of implementing the one nation-one tax idea, work towards which began 13 years ago.”The entire ecosystem needs to be changed to accept GST,” K Raghu, former president, Institute of Chartered Accountants of India, told India Spend. “An ideal date for implementation would be 1 September. “The Indian Banks Association, a body that represents 237 banks, has informed a parliamentary panel that their members were unprepared to implement the new indirect tax regime. “Everything will now be online and will need to be updated regularly. A business will have to file 37 returns in a year (three returns per month and one annual return) per state,” The Economic Times reported. With the government announcing GST for four tax rates — 5 percent, 12 percent, 18 percent and 28 percent — industry will face implementation challenges that include system upgrades, manpower training and understanding new taxes.Every transaction, sale or purchase, will now have to be recorded online to benefit from the tax paid earlier. CBDT notifies Transfer Pricing Tolerance Limit for Asstt Years 2017-18 and 2018-19. In GSTR 1, club Supplies with same rate in invoice. Give HSN wise summary if turnover more than Rs 1.5 cr in last year & description for others. No need to give details of Advances in GST Returns if invoice issued in same tax period in which advance received. After considering the recommendations, the GST Council on 16th meeting has reduced the tax level in 66 out of 133 items on which representations were made by the industries. Query: Whether a supplier of services is eligible to pay tax under composition scheme? Answer: No. A supplier of services is not eligible to opt for composition scheme. However, a supplier supplying composite supply involving supply of service or goods being food or any other article for human consumption or any drink (other than alcoholic liquor for human consumption) is eligible to opt for payment of taxes under composition scheme. AO could enquire into unexplained credit found in books even under unamended provision of sec. 68: High Court OF CALCUTTA- Pragati Financial Management (P.) Ltd. v. CIT -II. More entities will be able to take advantage of the composition scheme now with the changes in the threshold. Jaitley said the council has attempted to keep a revenue-neutral rate as also ease the burden on smaller enterprises. Jaitley said the council will now meet next Sunday in the Capital to finalise the remaining issues that include taxation of lotteries and eway bills, which relate to transport of goods across state lines. A committee of officials is also finalising the mechanism for the ant profiteering law. Revenue secretary Hasmukh Adhia said the attempt would be to complete the drafting of rules and report to the council. “It can be any time, not necessarily linked to the rollout but we will try and expedite it as early as possible,” Adhia said. Adhia said industry had also begun stock planning so the levy can be rolled out as scheduled. “The transition rules have been made so relaxed that nobody will have any issue of stocking or destocking. So we don’t expect there will be any scarcity of any commodity in the market,” Adhia said. The council has agreed to allow additional verification facilities to enrol taxpayers on the GST Network including the one-time password and banking verification. Some state finance ministers also want the rollout deferred. “I have also added a caveat that July 1looks extremely difficult. It cannot be jugaad… Small business has to fill up a spreadsheet which then has to go through a software process to get uplinked,” said West Bengal finance minister Amit Mitra. “According to reports, end of the month, these spreadsheets would be available for uploading and you are going to start from July 1.” Tax experts also see difficulties in a July 1rollout. At its meeting on Sunday in the Capital, the council revised rates on 66 items such as pickles, sauces, fruit preserves, insulin cashew nuts, insulin, school bags, colouring books, notebooks, printers, cutlery, agarbattis and cinema tickets, following representations from industry. Restaurants, manufacturers and traders having a turnover of up to Rs 75 lakh can avail of the composition scheme with lower rates of 5%, 2% and 1%, respectively, with lower compliance, against Rs 50 lakh previously. A GST rate of 5% will be applicable on outsourcing of manufacturing or job work in textiles and the gems and jewel llery sector. Bleaching and cleaning of human hair, a big industry in Midnapore, will not face any tax. “There were 133 representations… These were considered at length,” Jaitley said. A number of household items in the packaged food category that had been placed in the 18% bracket such as pickles, mustard sauce, ketchups, f fruit preserves and sandwich toppings will now attract 12% GST. Movie tickets costing below Rs 100 will now attract 18% GST while 28% will continue for those over Rs 100. “Consumers will benefit from the reduction in rates,” Jaitley said, adding that states can refund state GST on regional cinema but there cannot be a centralized exemption.